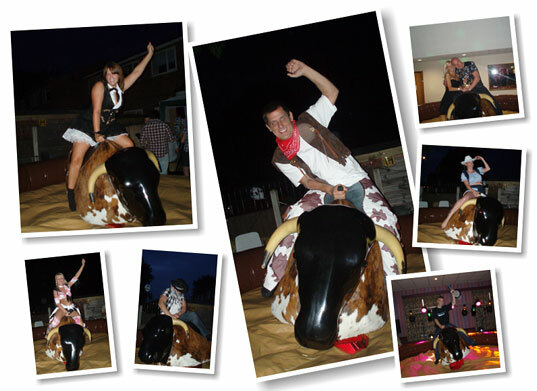 Greater Manchester Rodeo Bulls also known as Bucking Bronco hire are a proven great choice for a celebration, Castle Empire have been providing a Rodeo Bull service under the name of Rodeo Empire since 2006. Clients such as Girls Aloud and Michael Owen are just a few of our clients. Your safety is our upmost priority that’s why all our Rodeo Bulls for hire are only in our fleet for a maximum of 2 years, we have our Bronco's tested under the ADIPS scheme by an independent skilled person, we provide full risk assessment and copies of our Public Liability Insurance should you or your venue requires these.